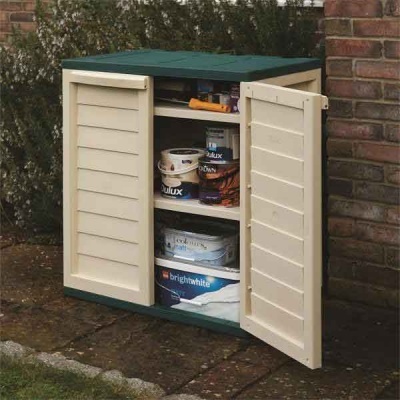 The selection below shows All the Storage we have available. 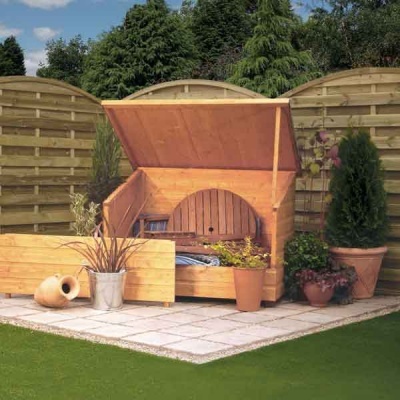 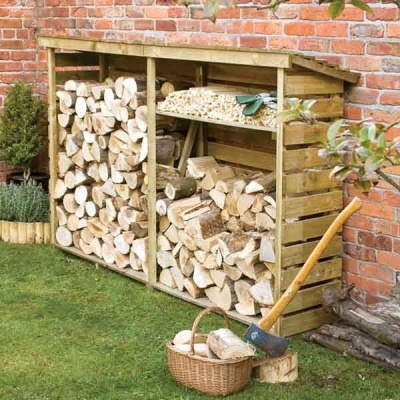 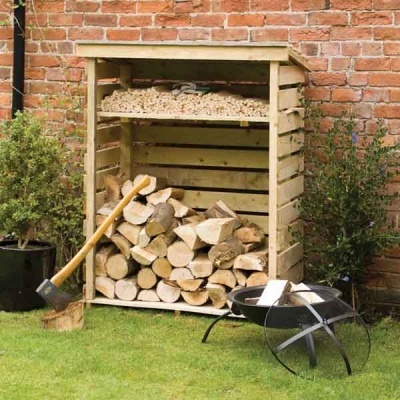 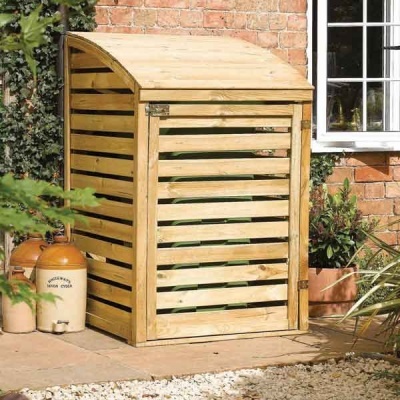 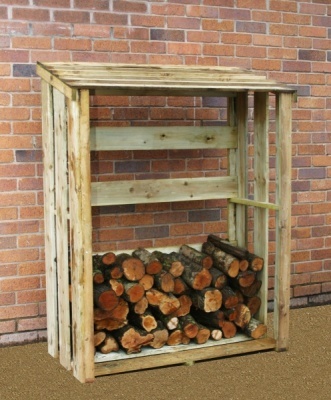 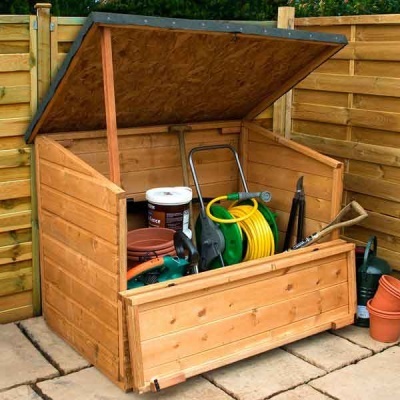 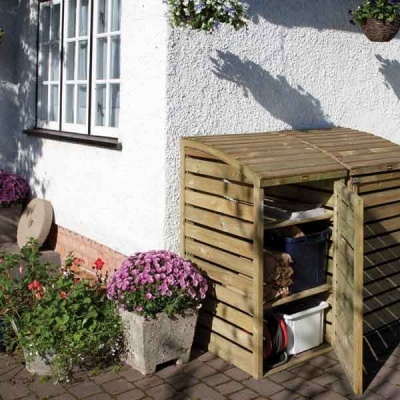 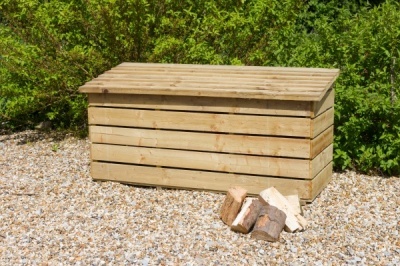 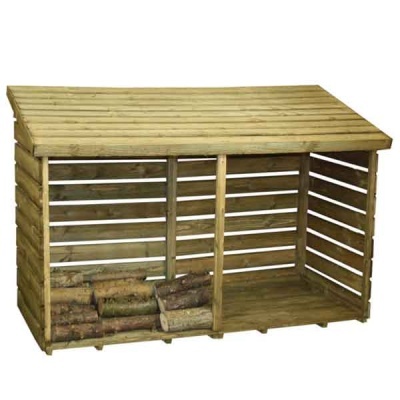 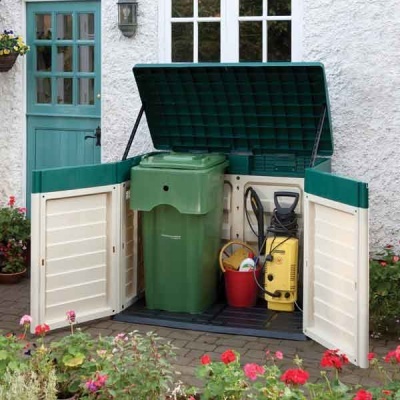 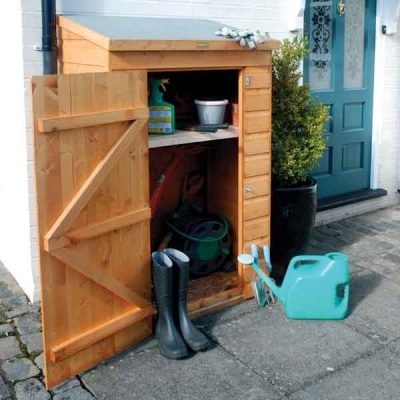 This garden/patio chest storage is an attractive yet practical storage solution for any garden. 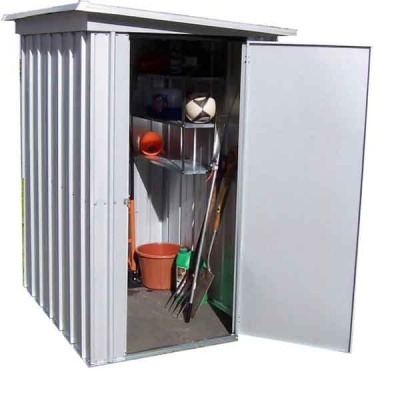 This store comes with a lifting lid and lid stay for easy access, as well as a removable front piece to open the chest fully. 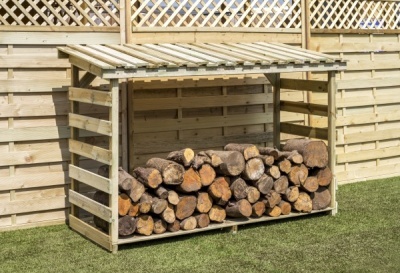 The building has 12mm shiplap cladding and a dipped honey-brown finish. 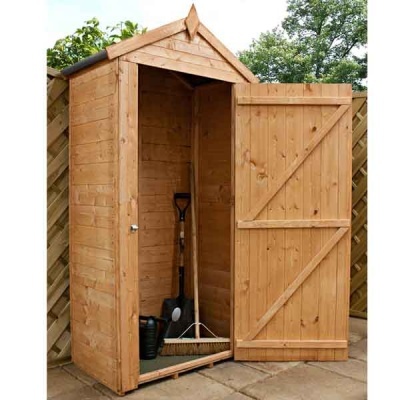 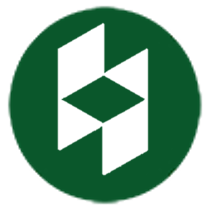 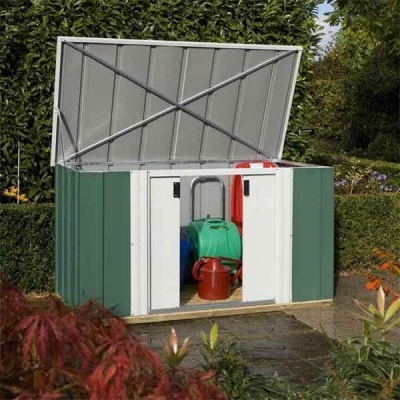 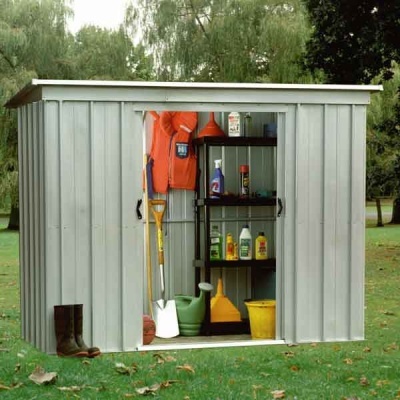 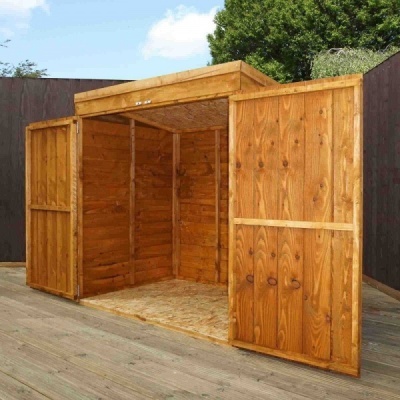 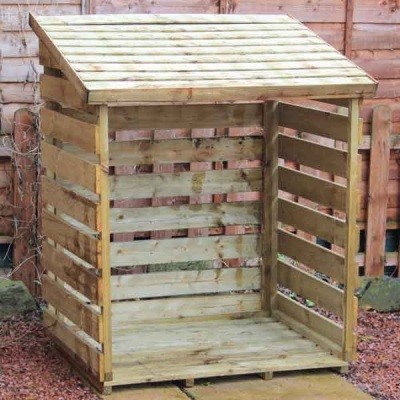 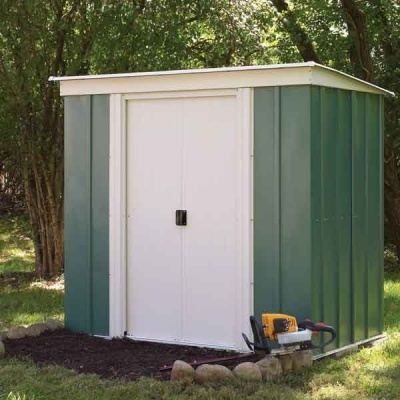 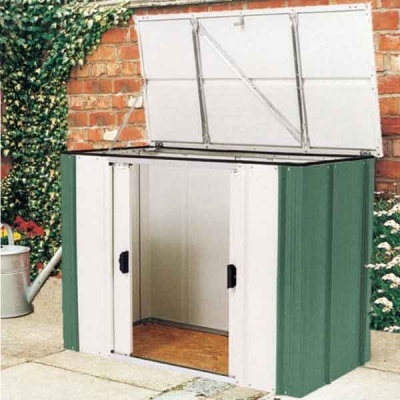 The storage unit is supplied with mineral roofing felt to ensure longevity. 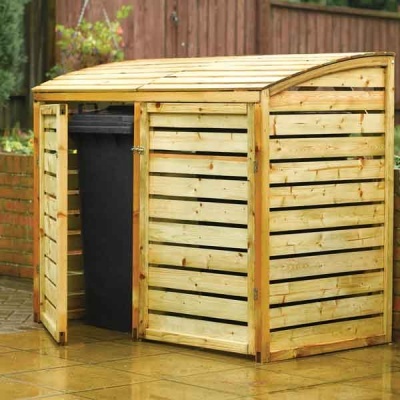 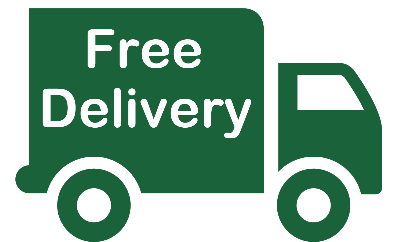 The product comes with instructions and all fittings and has a 10 year anti rot guarantee.